Here you will find our proposals for your holiday with us! Full board, half board, and the comfortable and affordable All-Inclusive Formulas, which are ideal for the needs of all. Choose the period that you prefer, check prices and contact us to receive without commitment, for a customized offer for your family. FULL BOARD TREATMENT includes: sweet and savory buffet breakfast, double choice meat or fish menu with rich vegetable and fruit buffet for lunch and dinner, draft water with meals, car parking, safe, free Wi-Fi. Restaurant drinks, bar extras and beach service are not included. TREATMENT ALL INCLUSIVE includes: all the services of the full board PLUS drinks at meals (1 lt water and 1 lt local Sangiovese or Trebbiano wine or a drink in the bottle) per day MORE 1 umbrella and 2 beds per room for the beach. Bar extras are not included. HALF BOARD TREATMENT: 10% discount per day per person on the list price. 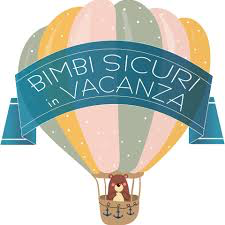 TOURIST TAX: we inform you that the tourist tax applied by the Municipality of Rimini, equal to € 1,00 per person per day, is not included in the list price; it is applicable for a maximum of one week and minors are exempt until the age of 14.